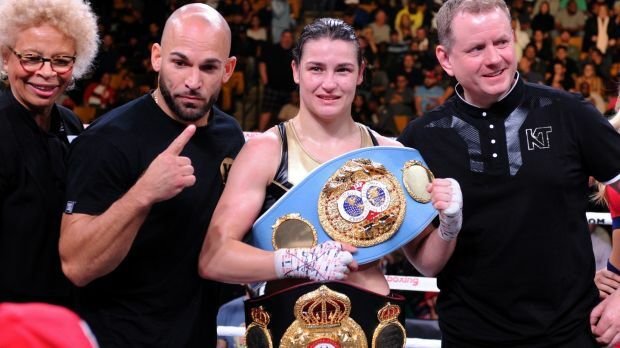 Katie Taylor has successfully defended her WBA and IBF world titles against Puerto Rican Cindy Serrano in Boston’s TD Gardens. While the bout went the full 10 rounds there was never any doubt about the judge’s unanimous decision. The Bray woman was in total command throughout the fight and hardly needed the support of Conor McGregor who appeared ringside before Belfast’s James Tennyson’s clash versus Trevin Farmer — the Northern Ireland man going down in the fifth round. The opening two rounds were very much a tactical affair, a solid right hand at the beginning of round two from Taylor the only highlight. Taylor upped the ante in round three as Serrano found herself on the ropes twice. A powerful left uppercut from Taylor closed out round five with Serrano now firmly on the back foot. So much so that Taylor uncharacteristically dropped her hands in round seven, pleading with Serrano to bring something to the fight. But the 36-year-old former one-time world featherweight champion could muster up little and was frankly way out of her depth and hell-bent on playing defence. 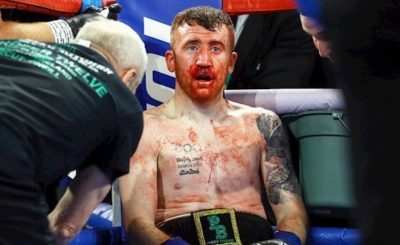 A couple of thunderous right hands in round nine were replicated at the end of round 10 as all three judges scored the fight 100-90 for Taylor’s eleventh professional win. This article first appeared in the Irish Times on October 21, 2018. To see the original version, click here.